A simple house greeted us where a lot of people on queue. 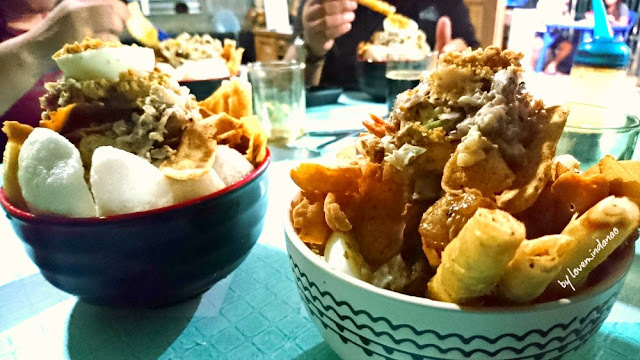 We weren’t aware of the name of the place until we stepped inside and surprised how humble the popular lomi-han called Kina Imus Lomi Haus. We were lucky enough to arrived before the cut-off time (8pm). 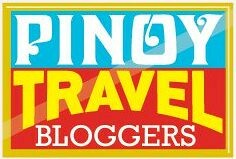 I felt sad for the customers who came late just to have a taste of the most talk about snack in Batangas. But I understand that the owner can only serve much. They must be very tired of the unending influx of customers arriving from early in the morning 'til evening. We checked on the menu posted on the large tarpaulin and I decided to try the COMBO LOMI. 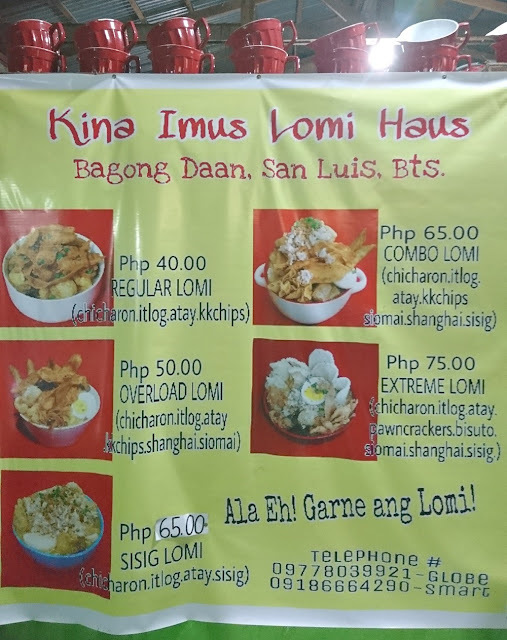 The choices of lomi ranges from Php 40-75. This was surprisingly affordable. Just after 10 minutes, our orders have arrived. The serving was really overwhelming and I was drowning on the crunchy munchy toppings of the hot snack. Tasting it for the first time, the taste was a little “bland” and quite spicy yet tolerable until I realized the extra soy sauce, lime (calamansi) and chili on the side of the bowl. I like the idea that the customer has the choice to savor the lomi with extra soy sauce, lime and chili. After adjusting the flavor, I was able to enjoy it but because of the large serving, I only finished half of the bowl. Kina Imus Lomi Haus is a must try in San Luis Batangas. Kudos for this wonderful treat! 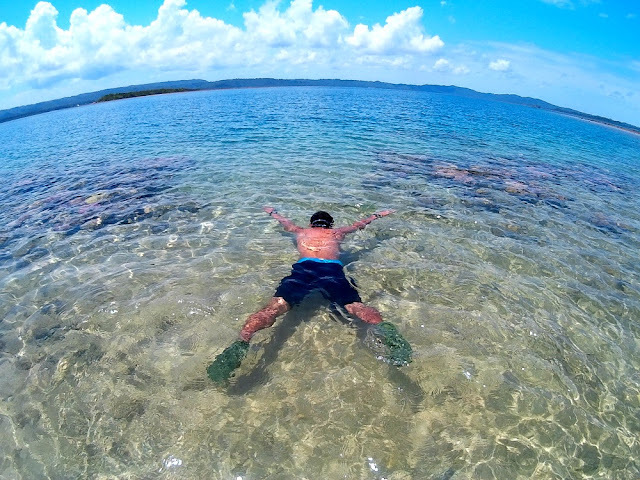 Thanks to Robin Dale Mendoza of Bus Stop Dive Resort for taking us here.